Samsung employees are protesting the sale of four units to Korean conglomerate Hanwha. How much does it cost to remove the name “Samsung” from someone’s business card? About 60 million won ($55,000), according to Samsung employees. Samsung Group announced in November last year that it will sell four units, including Samsung Techwin Co. and chemical unit Samsung General Chemicals Co., to Hanwha Group, another South Korean conglomerate whose main businesses include defense and solar power. Hanwha will automatically gain control over two other affiliates, Samsung Thales Co. and Samsung Total Petrochemicals Co., as these units are controlled by Samsung Techwin and Samsung General Chemicals. While the deal is seen as a part of Samsung’s reorganization efforts, it has caused a backlash from Samsung employees as they worry about their job security after the acquisition. About 2,500 workers from the four companies held a joint protest in front of the group’s headquarters in southern Seoul, urging Samsung Group to stop the deal immediately and to engage in talks with the negotiating team that represents Samsung laborers. Many worried that the acquisition, with an estimated cost of 1.9 trillion won ($1.7 billion), will burden Hanwha financially. Hanwha Group said there will be no problem with the acquisition process since it will pay the acquisition fee in installments. Still, there is growing concern among Samsung employees that layoffs will follow the handover of the four Samsung units as Hanwha seeks to cut costs in the wake of an expensive purchase. Samsung Group offered compensation for its employees in order to make the deal go smoothly. According to Samsung, the employees of the four units will be given a bonus of 10 million won ($9,200), plus four months’ worth of salary. But the employees are asking for 40 million won ($36,800) and compensation equal to 10 months of salary. The employees say Samsung offered that amount of compensation to workers at Samsung Corning Precision Materials in 2013, when the unit was sold to Corning. Samsung Techwin and Samsung Total were expected to decide details of the sellout, including updated company names and shareholders, at their annual general meetings on April 3, but the meetings have been postponed due to opposition from Samsung employees. 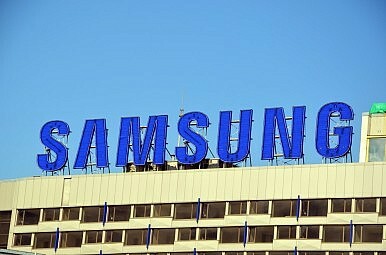 Samsung Techwin recently announced that its employees will go on strike until Samsung agrees to negotiate. Meanwhile employees at Samsung Total decided to join the Korean Confederation of Trade Unions to continue to voice their opposition to the deal. In addition, the four Samsung units have scheduled a large protest for April 11. Samsung and Hanwha promised to finish the handover by June. Ja Gwang-ho's chimney-top sit-in is the latest in a storied tradition of high-profile labor protests in South Korea. South Korea Joins the 5G RaceIs This the End of South Korea’s Semi-Charmed Export Life?South Korea’s Emergence as an Important Player in CryptocurrencyMore South Koreans Are Learning Vietnamese. Why?Can South Korea Jumpstart Job Creation?